Anyone who has experienced crisis knows that moment when catastrophe happens and everyone in the room looks at each other wondering how to respond. When seconds count, having a leader with the training to identify a serious situation, assess the risks, and react with authority and direction becomes invaluable. Completing crisis management training well in advance of an emergency situation is the key to getting prepared. There are many niche training programs that focus on behavioral health, talking to the media, protecting brand identity, and so on. While effective media management and protecting your brand identity are crucial components of a successful crisis management plan, for the purpose of safety, it's most beneficial to find a comprehensive training program that covers all aspects of successful crisis management. Do your research. Schools have different needs than businesses, an organization with international employees has different needs than a hospital, and so on. Select a trainer that has experience working with organizations like your own. Better still, find one that has experience working with other organizations within your industry. Start by looking within your industry. Many industry associations have a list of suggested training programs. For example, the Educators School Safety Network was started by educators and provides a wealth of training and resources for teachers and families. The International Air Transport Association not only provides suggestions, but offers training through their website. If you haven't found what you're looking for among associations in your profession, don't get discouraged. The National Center for Crisis Management provides extensive listings of on-site trainers, speakers, certification programs, and online course offerings. Their members come from a wide range of professional backgrounds and are located in more than 30 countries. Highly regulated industries often require crisis management certifications for new employees to complete, or as part of a continuing education standard. School-specific training: The Crisis Management Institute offers a full menu of crisis management training opportunities for schools. Training options include on-site, online, individual, or full-staff/district level courses. 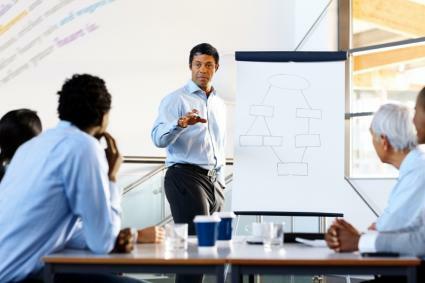 Corporate training: For the business sector, DRI International has a strong offering of crisis management courses for business continuity and disaster recovery. Their array of programs supply training for domestic companies and multinational organizations alike. On-site programs and online trainings are available and highly customizable. Keep in mind that the best fit for your organization is someone who has some experience working with or in your industry. A trainer/program that includes, but does not limit their instruction to media communications/public relations is ideal, because there are numerous crisis scenarios that would require a more complex response than the sole focus of managing brand identity. Once you filter your list of potential trainers this far, turn your attention to needs that are more specific to your organization. If you have employees abroad, you may require a trainer experienced in ISO standards. Industries like healthcare, aviation and education sectors all have stringent regulations to consider when selecting a crisis management trainer. View the websites of your specific regulating agencies for a list of suggested trainers and programs. If you are in the beginning stages of creating a full-scope crisis management plan, on-site training is likely going to be the most effective method for training all staff and identifying potential candidates for an effective crisis management team. If, however, you need to take a course to brush up on specific skills, become up-to-date on changes that impact your current crisis management plan, or gain certification in required courses, then online programs are convenient, and effective. While some small business owners may have need to do the training on their own, it is recommended is to hire a qualified trainer. Most have a background in the industries they specialize in, as well as specialized training in crisis management theory and effective models. Hiring someone to train your staff allows you to focus on what you do best, while protecting all you have worked so hard to create. Your investment of time and resources could pay a high return when you and your staff are prepared for whatever comes your way.